more than one frog on his plan. Comparing the frogs to the tasks you need to do, the whole idea is that you need to conquer those tasks first that will be most productive. So you determine your first and second most important tasks for the day and make sure you “eat” those first. 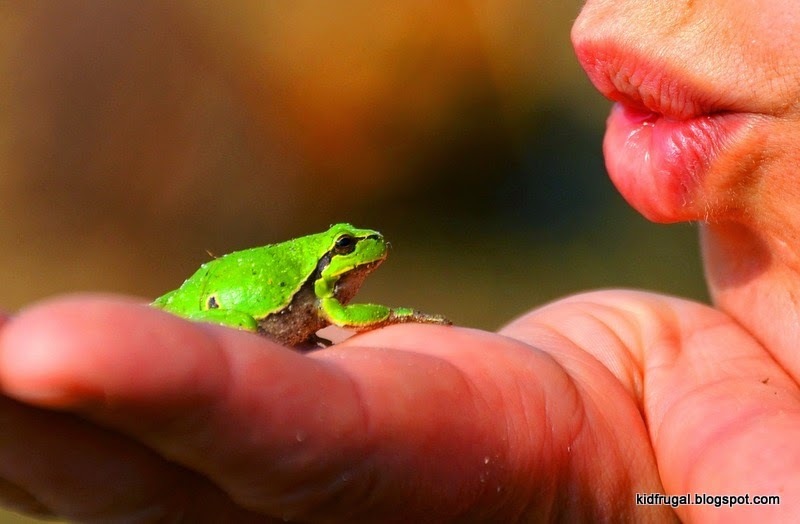 Often the tasks that will make the greatest difference are also the most difficult – so they are like eating a frog. Yuck! As a Christian, I found this to be amazing advice. It was very easy to identify my two most important tasks, personal Bible reading and prayer. I have found over the years that for these two disciplines to be effective for me, I need at least 20 minutes in the Word and at least a ½ hour in prayer. I didn’t always spend that long, it developed just like you develop a muscle or your ability to work out. Accordingly, I have found the ability declines just about as rapidly without use – just like your muscles. The other day my kids were all home for Christmas. “What are you doing mom?” one of them asked as I came out to the kitchen for a second cup of tea. “Eating a frog,” I told her. She was intrigued. My youngest knew the Twain quotation (though not the source) – but this was a new way of viewing it. I told her what I figured the two most important things were I had to do every day, and that I had just finished eating the first frog. I told her I was about to consume my second frog now, and off I went. What a powerful way to look at these two spiritual disciplines. I know of nothing else that has as great a potential consequence as these two disciplines, yet I find it extremely difficult to keep on top of them daily. This concept of frog eating has really helped me to stay focused on these tasks. And consequently, I am able to stay more stable and balanced in my relationship with God. That doesn’t mean I won’t encounter rough waters, it means I will do better at navigating them because I am eating my frogs daily. Do I really despise devotions? No way – I enjoy them…once I get started. But I needed something to help me stay on task every day, and Brian’s frogs seem to be doing the trick. So, how about you? Are you getting your minimum daily dosage of frogs?